Jamaal Lascelles has once again endeared himself to Newcastle fans, and the Toon Army think he deserves an England call-up. Despite the team enduring some terrible runs of form, Lascelles has been one of the standout figures for the Magpies this season. Newcastle have only lost by more than a one-goal margin twice with Lascelles in the side, away at Manchester City and Liverpool. The 24 year-old defender was superb once again on Saturday, earning himself an incredible 8.26 rating on whoscored.com. The Newcastle captain showed his leadership once again, winning nine aerial duels and registering 13 clearances. 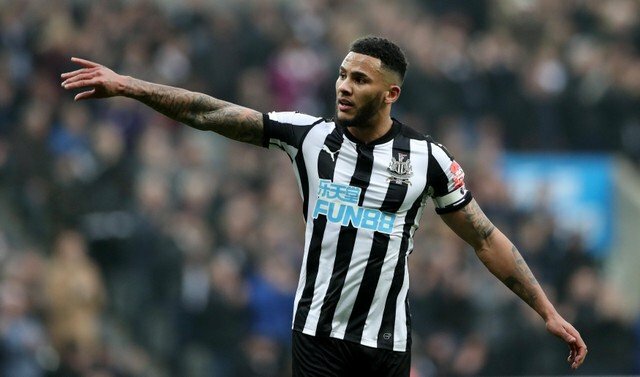 Lascelles stayed on the pitch after the match to applaud all four sides of St. James’ Park, and his post match tweet has cemented him even further as a fan favourite. Fans are absolutely delighted with the form and behaviour of their skipper, and have touted him as a World Cup call-up. Lascelles will face competition from the likes of John Stones, Phil Jones, Gary Cahill, Harry Maguire and Chris Smalling, but he certainly deserves a chance on current form. Class act you are. Our captain. You are a perfect captain, lead with dignity, honest hard work, appreciation. I'm extremely proud you wear the armband as I'm sure do all of our fans! You deserve a shot at playing for England after your performances and also you have the character our national team needs! Lascelles 100%, not sure on Shelvey!